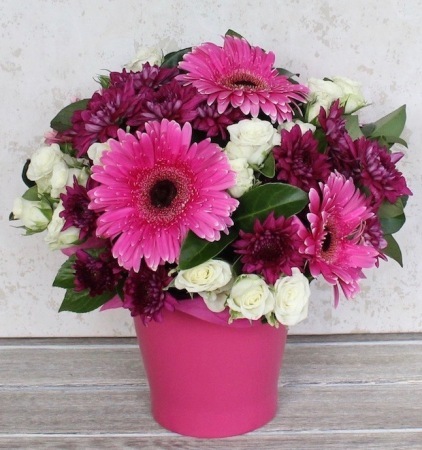 Send a bold posy of hot pink, burgundy tones arranged in striking pink pot. These eye cathing blooms are fresh from our local suppliers and will create the perfect gift for any Mum this Mother`s Day. Why not add some sweet`s from our selection of chocolates to create the perfect gift.